Leduc County, Alberta – The RCMP took one female into custody following a brief pursuit which resulted in a collision on Friday night. At 9:30 p.m. on April 12, a Beaumont RCMP officer observed an erratic driver at 50 Avenue and 50 Street. At attempt was made to conduct a traffic stop, and the suspect driver fled resulting in a pursuit eastbound on 50 Avenue. Traffic was minimal on 50 Avenue and public safety remained a consideration during this incident. 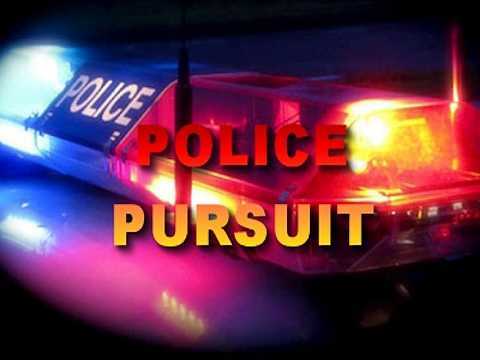 The pursuit terminated when the fleeing vehicle launched over a ditch, through a fence and came to rest in a stand of trees at the intersection of Township Road 505 and Range Road 234. The female driver was arrested on scene. Both the driver and the male passenger were transported to Edmonton hospitals where they were treated and released. The suspect truck was determined to be stolen earlier out of Edmonton. 26-year-old Nikita Hikok of no fixed address has been charged with: Fail to stop for a peace officer, dangerous driving and possession of stolen property over $5,000. Investigation is ongoing in relation to Hikok. A judicial interim release hearing was held and Hikok has been released from custody. She is scheduled to attend Provincial Court of Alberta in Leduc on May 9, 2019 at 9:30 a.m.